The phrase “bucket list” has become extremely popular in the last 10 years. There are bucket lists for travel, bucket lists for local cuisine, and even bucket lists for couples who have places they want to go and things they want to experience together. Since 2019 is in full swing, we’ve created a bucket list for the year with items that are focused on the health of your heart. Since you can likely only explore and experience life with a healthy heart, this list is meant to inspire taking care of your body’s most important organ so you’re able to enjoy your loved ones, see the world, and create memories for years to come. Are you ready to take on Ubiquinol’s heart-healthy Bucket List? 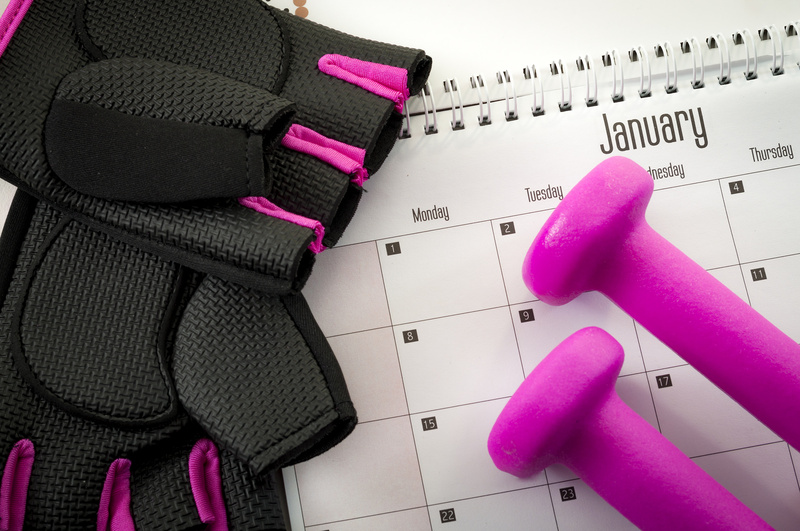 The first month of the year is all about setting realistic resolutions. That’s why we published a blog with resolutions that can support your health! This month, we encourage you to set some resolutions that might be a little challenging at times but that can improve your health — including drinking more water, cutting back on processed foods, and reducing your stress. Read our Heart-Healthy Resolutions Checklist. Even though February might still be chilly in your state, this month is dedicated to finding a new hobby that promotes heart health and makes you happy. This could be an indoor hobby, such as cooking, sewing, doing yoga every morning, or even painting. Outdoor hobbies could be cycling, playing tennis, or going for a hike. Month three is dedicated to relaxing and destressing. There are plenty of ways you can relax at home, whether it’s reading a book in the bathtub, meditating, or taking a much-needed afternoon nap. But you can also relax by going away for a week or weekend. There are many yoga retreats in the U.S. — a great way to take a break from the hustle and bustle of everyday life. You could also plan a spa day and unwind locally. What will you do to relax this month? If you want to be able to enjoy spending time with your family and exploring the world, your health has to come first. This month, make time to visit your doctor. Tell your doctor that you want to create a health checklist that inspires you to meet different goals throughout the year. This could include lowering your cholesterol, losing a little weight, or cutting back on sugar. Your doctor might also suggest specifics for exercise or health supplements. By the month of May, Spring has had time to warm up most of the U.S. With your health goals in your pocket, it’s time to challenge yourself with a walk or run. There are many organized walks and runs throughout the year, but the events that start mid-year are the most popular. Although you should challenge yourself, sign up for an event that is practical with your physical ability. Research the length of the event you’re interested in. If this is your first, start with a 5K, which is about three miles. By June, fresh produce is starting to roll out in grocery stores. Why not host a get-together for your loved ones? You can find many heart-healthy recipes in our Ubiquinol cookbook, recipes that are sure to please every foodie in your family. In July, Summer is officially taking off. It’s the month to take advantage of the warm weather, celebrate Independence Day, and do some exploring. This month, plan a trip you’ve always wanted to go on. It could be somewhere a couple hours away, or perhaps it’s across the world. By experiencing a new country or location, you’ll make memories that will last a lifetime. Since August is nearing the end of the season, this month is all about getting in those warm summer days while you can. Why not host a picnic in the park? There are plenty of healthy recipes you can prepare for a picnic, and most city parks have a BBQ you can cook up some protein on. Want to step up the challenge? Ride your bike to the park! Put your picnic ingredients in a backpack, and set out for a fun day in the sun. Don’t forget a hat and sunscreen! If you’ve made it this far through the Bucket List, you’re doing great at supporting your heart health! This month, spend some time inspiring someone you love to adopt their own heart-healthy goals. You can start by sending them the Heart-Healthy Resolutions blog, or ask them to complete this Bucket List with you. The weather in your state has probably started to get chilly, but that doesn’t mean there aren’t ways to get in your daily exercise. There are plenty of indoor winter workouts, including yoga, lifting weights, or following along to a workout video. You could also pick up indoor cycling — a great workout for your heart. Many people look forward to Thanksgiving every year. It’s a time to get together with family and friends, relax, and fill up on the best Thanksgiving meals. But this year, don’t “eat your heart out.” Rather, introduce some healthy Thanksgiving meal alternatives. These Thanksgiving recipes taste great, but they won’t put as much stress on your body and heart with an overwhelming amount of calories and fat. You’re so close to completing Ubiquinol’s 2019 Bucket List for Heart Health! December is likely busy around your household, as family is probably coming into town, and you have to plan gifts and meals for everyone. But we’re encouraging you to finish 2019 by relaxing, unwinding, and completing one more Bucket List challenge. This month, take some time to read a book before the end of the year. Your mind (and heart) will thank you for the downtime!